Ringtones aren’t what they once were. No longer is the iPhone ringtone limited to the typical Chimes and Ripples that you might hear when you buy a new phone. Rather, you can choose, and even make, your own free ringtones until you find something that suits you. If desired, you can even create a different ringtone for each caller! Today we’ll discuss a little bit about how to create your own ringtone in iOS 12.
iMyFone TunesMate Music Manager is a software program that is designed to replace iTunes, which many people find quite difficult to use. Like iTunes, TunesMate can help to transfer media files between your iPhone and computer, but in a much more user friendly way. iMyFone TunesMate can also help to rebuild corrupted iTunes libraries, manage your music playlists, and transfer other things like files, podcasts, and audiobooks. 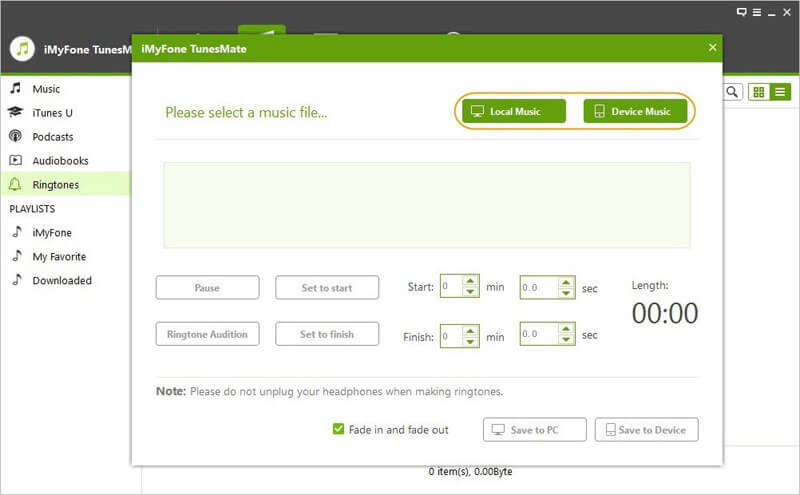 And of course, iMyFone TunesMate can also help you to create and set your own personalized ringtones. 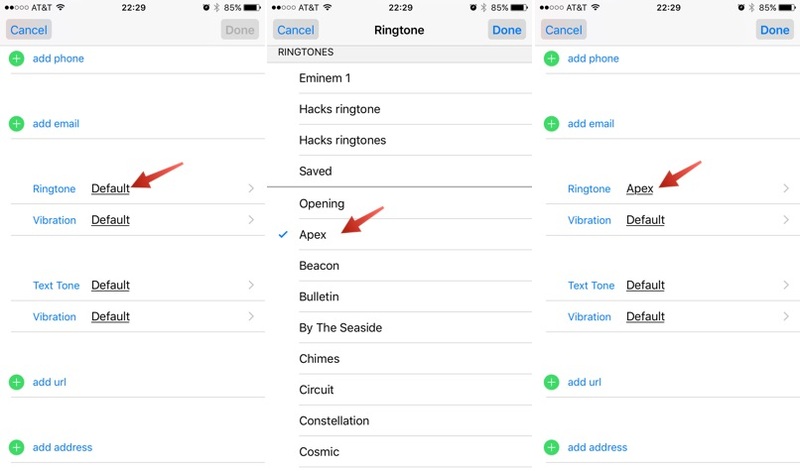 Here’s how to create a free iPhone ringtone in iOS 12. You can create your own ringtones from any song on iPhone or on computer. You can set and cut the precise section of the song to be your custom ringtone. You can add ringtones to iPhone and backup ringtones to computer, iTunes etc. You can organize your music or playlists freely, like to export, import, backup, edit, add, delete, etc. You can share purchased music files with different iOS devices even with your friend. Step 1: Launch the software and connect your iPhone to your computer. Step 2: In the top option panel, click on “Music”. Select “Ringtone”, and then “Ringtone Maker”. Step 3: Click “Local Music” to browse your computer or you can choose “Device Music” to select a tune from your iPhone.. Step 4: Once music has loaded, select a light-grey area to select which part of the song you would like to set as your free iPhone ringtone. Step 5: Click “Save to PC” or “Save to Device” depending on where you would like to save your new ringtone. Step 1: On your iPhone, go into Settings, then select “Sounds & Haptics”. Step 2: Click on “Ringtone”. 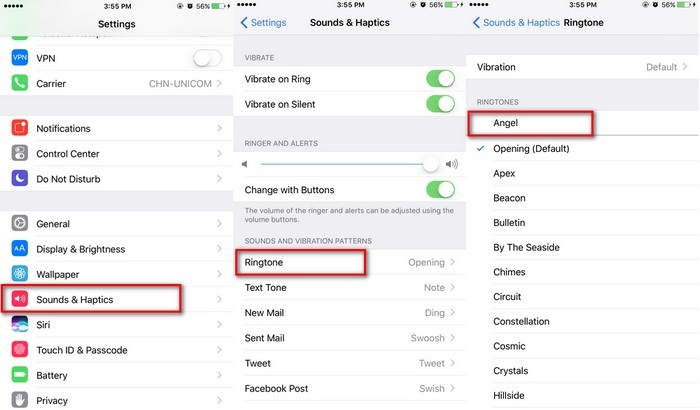 Step 3: From here, a whole list of ringtone options will appear, and your new iPhone ringtone should be on the list. Select it. Step 1: Select which contact you would like to set the ringtone for.In the top right hand corner, select the “Edit” option. Step 2: Scroll down until you see the “Ringtone” option. Click on it. Step 3: Select which ringtone you would like to use for that contact. Note: If you would like to set the text tone, you can do that too by setting “text tone” instead of “ringtone”. In conclusion, you don’t have to struggle with the un-user friendly iTunes when it comes to how to make your own iPhone ringtones in iOS 12. 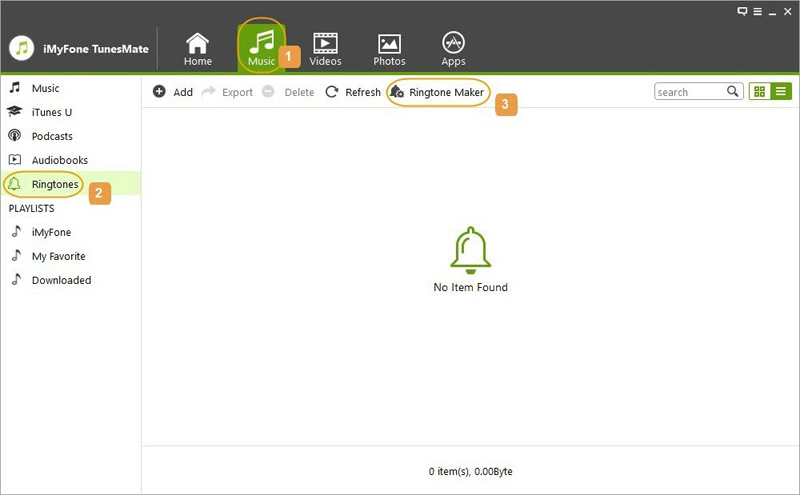 All you need is help from a user-friendly software program like iMyFone TunesMate. 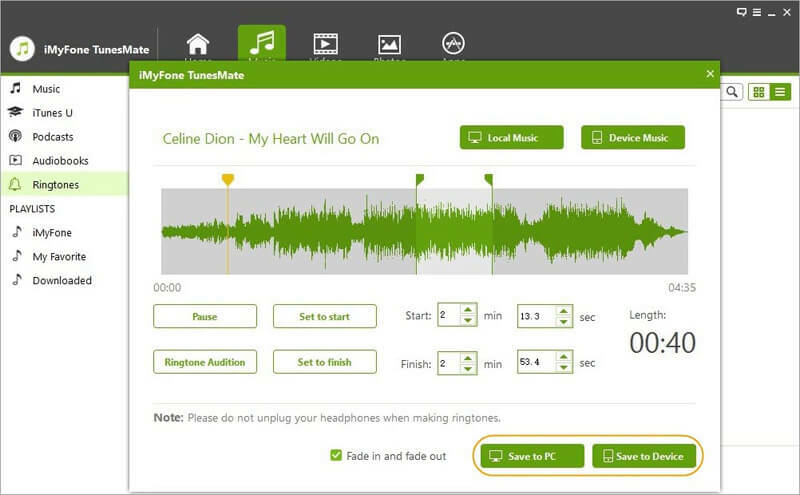 Not only can TunesMate help to create free iPhone ringtones, but it can also help to transfer files and music to and from your computer and phone without any hassle. Try TunesMate today and give your contacts their own ringtone! Can’t Download Purchased Music on iTunes? Hear Us Out! What is the Difference Between iTunes Match and Apple Music? 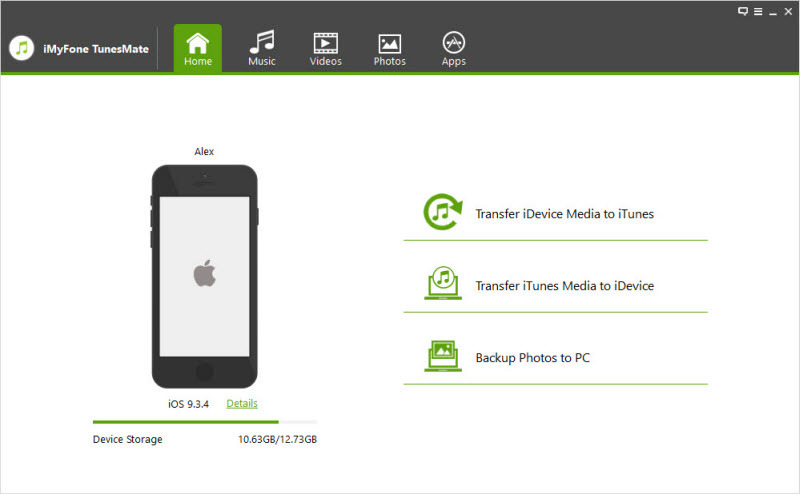 How to Transfer Music from Old iPhone to New iPhone?